This is my first post here. I'd describe myself as entry level proficient when it comes to DVD and Blu-ray burning. Since I'm new, and since I'm not sure if this belongs in the DVD or Blu-ray thread as it involves both, I'll post here. 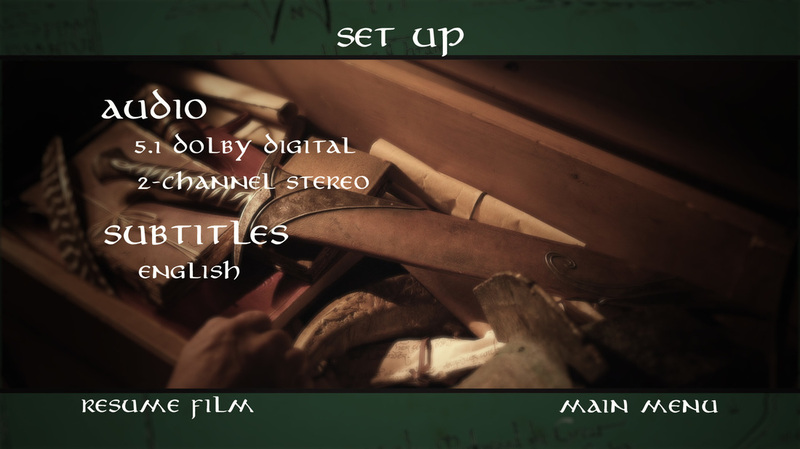 I was wondering if anyone might have any input on a subtitle hiccup I'm having with the Maple Films "JRRT's Hobbit" Fanedit found -DIRECT LINK DELETED-. I successfully downloaded the DVD and Blu-ray ISOs. The video and audio work fine, along with the menus, with everything looking just like the preview video. Except I seem to have one small problem. The subtitles don’t seem to work after mounting or burning, despite there already being an English subtitle menu option built into the ISOs beforehand. The menu for them is present, but the selector won't highlight "ENGLISH", and neither VLC player or Leawo player seem to find any subtitle tracks. I see the section at the bottom of the download page where it says "you can download separate subtitle files and add them to the DVD/Bluray ISOs on your own", and includes links to the subtitle files. If I am correct in interpreting that you are expected to ad the subtitles to the ISOs yourself, then I would assume that the process must be fairly straightforward since no extra instructions are there. But it's not something I know how to do. Or perhaps there is something else I'm missing? 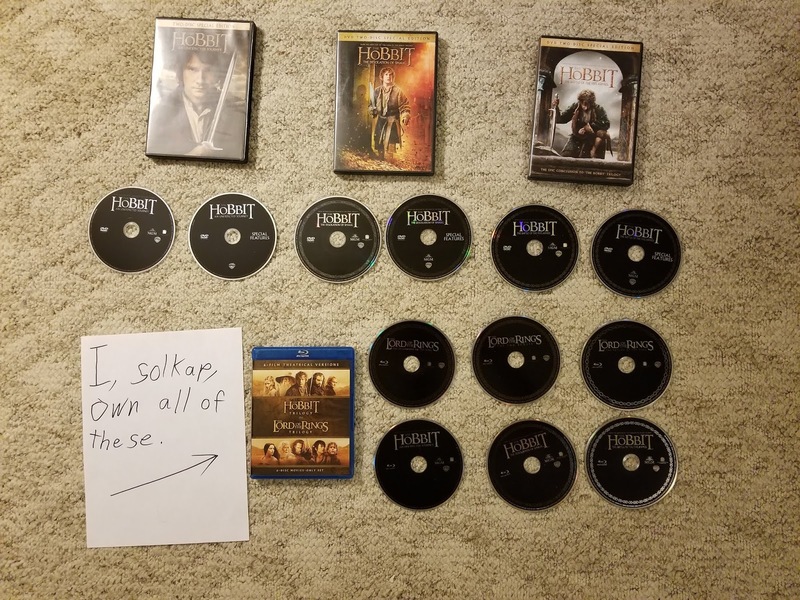 PS- Just in case anyone is wondering, I do own all three “Hobbit” movies on both BD and DVD. Last edited by redwudz; 30th Jan 2018 at 18:03. What you can do is to use MakeMKV to repack your DVD/BD to a MKV file and play them with the subtitles from your link. Of course you'll loose menus etc and can no longer play them as a "disc". The guide is good. Use Baldrick's Method 2. That's if you need a DVD with its menus. And the guide isn't for replacing existing subs, but for adding subs to a DVD with or without them already. Fanedits are a 'gray area' for legality. I deleted the direct link to the video and site, but left the name of it, which should be OK.
Our Administrator, Baldrick would have the final say. Last edited by redwudz; 30th Jan 2018 at 18:23. Apologies. I know that fanedits are a gray area, which is why I only posted a link to the site where it is featured and not a direct download link. I thought that would be OK, sorry if it was not. To the mods, I would like to at least re-post the name of the fanedit for which I am requesting help in subsequent posts, strictly for reference purposes, as it is extremely easily searchable, but I will not again until I know that's OK.
Videobruger and Manono, I found that guide before I posted. But there are still several things I'm not clear about. 2) Would this be converting anything, potentially downgrading quality, or is it just a repackaging the same files in and out of the ISO container? 4) How would the procedure differ if using a Blu-ray file structure? 5) Once the DVD and Blu-ray file structures are re-authored, how do I re-package them back into ISO form? Just in case there was any confusion, let me reiterate I own all the DVD and Blu-ray copies from which the Maple Film Edits are sourced. I do not endorse any fan edit acquisition that has not been preceded by the purchase of the commercially available release. Last edited by solkap; 8th Dec 2018 at 18:13. 2. No reencoding is done. None of the programs used are even capable of encoding anything. The quality remains unchanged. 3. I know nothing about Blu-rays. Perhaps someone else will come along to point out a method for adding subs to Blu-Rays, keeping the menus. 4. Well, you wouldn't use the same guide. 5. For DVD you can use ImgBurn. Or, better, if the intent to to burn to DVD, burn the DVD to disk as-is. You only need the files (IFO, BUP, VOB) within a VIDEO_TS folder to use ImgBurn. Last edited by manono; 6th Dec 2018 at 21:08. That guide has indeed been useful. The reason I posted again is because I've gotten some responses regarding this thread on another I've posted to. And there seems to have been some confusion. I talked about fan edits and a few users thought I was wanting to work on edits from films I had not purchased. Or try to get them to people who had not purchased them. I want to make sure I'm clear that that isn't the case. Thanks for replying again though! I really appreciate it! I talked about fan edits and a few users thought I was wanting to work on edits from films I had not purchased. I don't believe that to be the issue. If you're in the US you're not even allowed to decrypt any DVDs or Blu-Rays to your hard drive, purchased or not. So, fan edits are out of the question. Not that I'd let idiotic laws like that dissuade me. The DMCA prohibits you from circumventing copy protection systems, unless specifically exempted by the copyright office. The US copyright office has issued one exemption that applies to DVDs, which allows filmmakers to to bypass the CSS in order to incorporate short pieces of film in their works. This exemption is very limited in scope, and does not give you the right to backup your DVDs or copy them to another medium. Before the DMCA was passed, many people felt that backing up purchased content was a legitimate example of fair use, but the DMCA clearly removes that possibility. Oh wow. That is ridiculous. But, how then is it that there is plenty of commercially available consumer level software designed to rip physical media and do exactly what that part of the DCMA is forbidding? I could see freeware getting away with something like that, because of it's unofficial nature. But how do premium programs get away with selling software that's sole purpose is breaking that rule? Oh well. All I can say is that I'm not a scofflaw, either to copyright law or to message board decorum. There is more I'd like to find out, but only if it is within what is considered good form. They get away with it only because they have no business presence in the USA or in any country where US copyright holders would be able to sue them successfully. In every case where this was not true, development was shut down. Not even freeware was exempt. Last edited by usually_quiet; 7th Dec 2018 at 21:10. The reason DVDFab exists today is that some employees of the original company Slysloft got the code for DVDFab and AnyDVD and opened up a new company, Redfox and ensured everything, including their domain, dvdfab.cn was based in China. The good news is that in an extremely unlikely (just this side of impossible) worse case scenario where all the companies worldwide were one day shut down, the source code and methods for decryption would highly likely be made open source and new companies would keep popping up. It took 13 years to shut down Slysoft and by the time the cat and mouse even came close to an end, optical media and copy protection schemes used to protect them will have been replaced with something else. FYI, DVD copy protection is used primarily only on U.S. releases. So if you have a DVD from another country, particularly Asian countries, there's nothing to circumvent. Also, programs that claim to remove Cinavia (an audio copy protection scheme) work by replacing the soundtrack of a Cinavia protected U.S. release with one from a non-U.S. release that doesn't contain it. So if it came to the worse in the U.S. the same thing for the video would likely appear. Last edited by lingyi; 7th Dec 2018 at 22:19. Is there a way to list all subtitle tracks for all my episodes?